We were appointed by a developer client as landscape architects on this refurbished development located in Mill Hill Conservation Area. A sketch landscape design was prepared for client approval in terms of aesthetic and functional design. Once signed off we proceeded with the preparation of landscape architect ‘s information to discharge Planning Conditions. The information provided to the Local Authority included drawings describing the spacial arrangement of the site, levels, boundary treatments, car parking arrangements, paving and plant material selection. In addition the Conditions stated that a landscape architect ‘s management and maintenance plan was required. The two existing building had been converted over the years so as to function as a single building with a single shared landscape. Our client’s intention was to separate the two building so they could function once again as two distinct properties. As a consequence the surrounding landscape associated with these buildings also needed to be apportioned to each individual property. 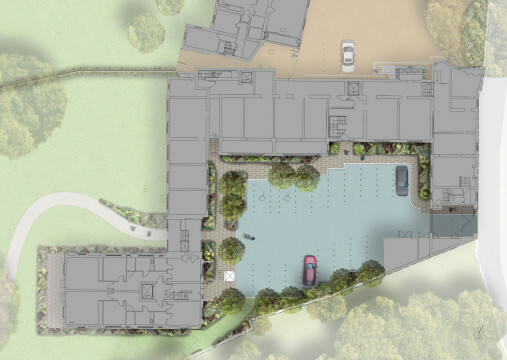 Our landscape design needed to create a new boundary between these proposed gardens and to review levels to ensure all access routes were DDA compliant. Within the ownership boundary of the site a significant number of existing mature trees are located. 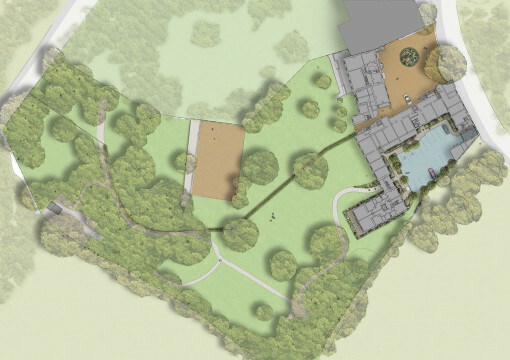 Our landscape architects needed to consider their locations and surrounding ground levels and accommodate them within our final landscape design. The arrangement of the exiting buildings formed two distinct courtyard spaces, one for each building. These were designed so as to accommodate the necessary parking for each building. 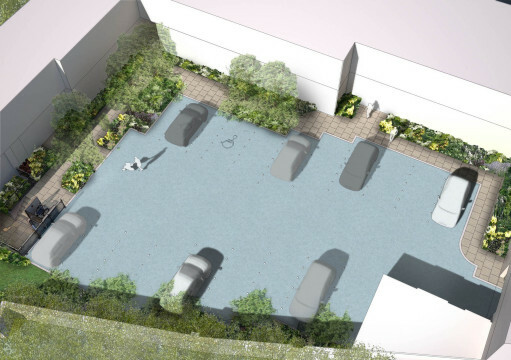 In addition our landscape architects needed to consider the vehicular tracking within the courtyard spaces so the access requirements of service vehicles and deliveries could be accommodated.